Yesterday, May 12th, 2015, anti-smart meter activists in Maine filed an appeal to a December Public Utility Commission decision with the Maine Supreme Judicial Court. In December 2014, the Maine Public Utility Commission (PUC) issued a decision concluding that smart meters were ‘safe enough’ for the public reflecting a lower standard than the Court or law allows. How can this be? How can fees associated with refusing smart meters be “reasonable” where there is acknowledged “credible evidence of risk of chronic effects”? The Commission failed to satisfy the Legislature’s mandate to ensure safety when it authorized the system, when it responded to complaints in the Opt-Out proceedings in 2010-2011, and when it dismissed Appellants’ complaint in late 2011, as found by this Court in Friedman I. Now, three years after this Court’s mandate in Friedman I, it has failed again, not only the Legislature’s mandate but this Court’s mandate, and the Constitutional mandate that all Maine residents have the right to obtain safety. 3) It limits its assurance of safety to fewer than all CMP customers … and fails to account for the cumulative and additive effects of RF radiation, resulting in no assurance to customers with impaired immune systems, to customers with EHS, and to customers who may develop EHS over time. 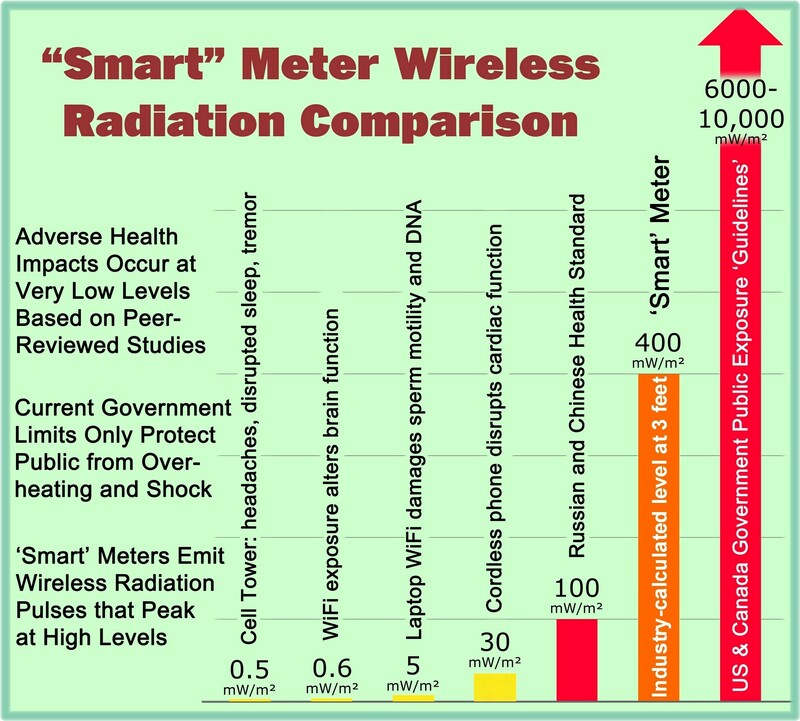 Applying the correct legal standard to the facts in the record compels the conclusion there is a credible threat of harm from the direct, unprotected exposure to RF radiation from CMP’s smart meter system. The findings and conclusions made by Commissioner Littell require this conclusion. Regarding the appeal brief filed yesterday, time will now be allocated for reply briefs, and oral arguments will be scheduled at a later date. This entry was posted in Smart Grid, Smart Meters, and RF Emissions and tagged Health Effects, Lawsuit, Maine, RF Emissions, Smart Meters. Bookmark the permalink. Will it ever end? At least in Maine they have a chance. Right now ComEd customers do not even get that opportunity. Thanks for sending the post.